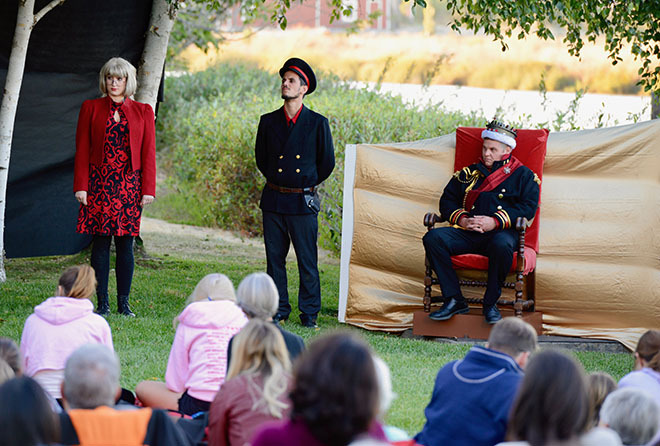 Dates for Shakespeare by the River Festival 2019 at Foundry Wharf on 625 Second Street in Petaluma to be set soon. Check back! 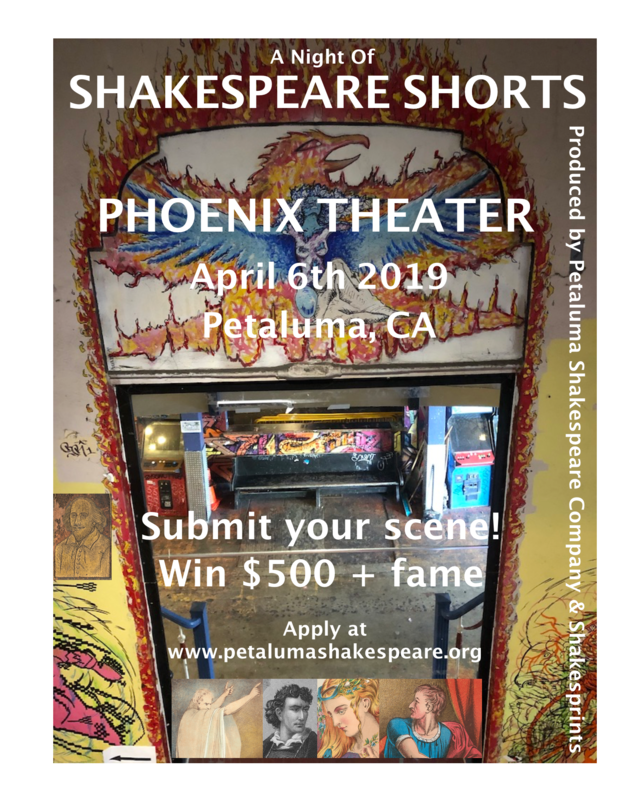 Wanna get in on “A Night of Shakespeare Shorts” for a chance to win $500 and perform on the stage that Harry Houdini, Enrico Caruso, The Red Hot Chili Peppers and Metallica have performed on? 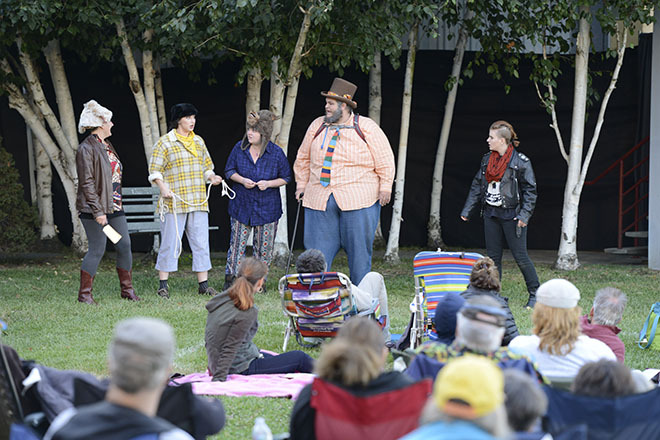 Participants will perform a short scene from one of Shakespeare’s plays no longer than 10 minutes long. The scenes will be interspersed with music performed by local musicians. 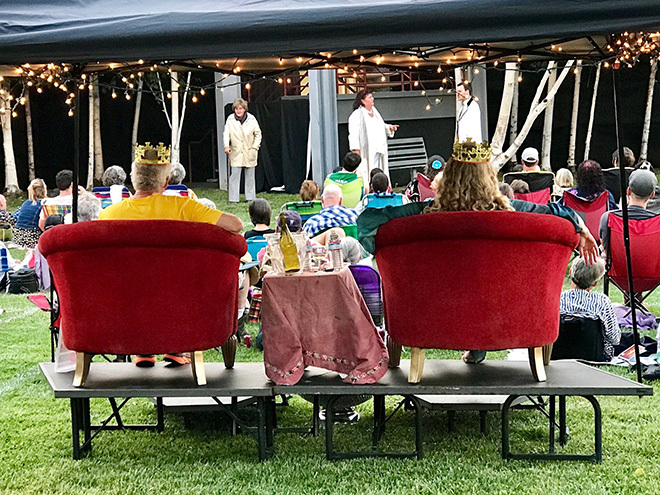 Scenes will be adjudicated by a panel of Shakespeare savvy judges. Best Scene of the evening will be awarded $500, Best Dramatic Scene $100 and Best Comedic Scene $100. Send an email to kristina@petalumashakespeare.org with the criteria below. Selected scenes will be notified of their acceptance no later than February 28th, 2019. Clearly state directors’ name, performers’ name and group, organization, university, college, school or theater’s name if affiliated. Clearly state which play, act, scene, lines, and characters. One 8-10 minute scene from any Shakespeare play per group allowed. Scene must be directed, blocked, off book and performance ready. No costumes. Please wear black attire. Props are not necessary but allowed if essential to the action and something that a character would normally wear or carry such as a handkerchief, a letter, a scarf, a jacket, etc. No sets. Chairs, stools and tables are allowed. A short introduction is needed to introduce the play, scene and to set the mood. 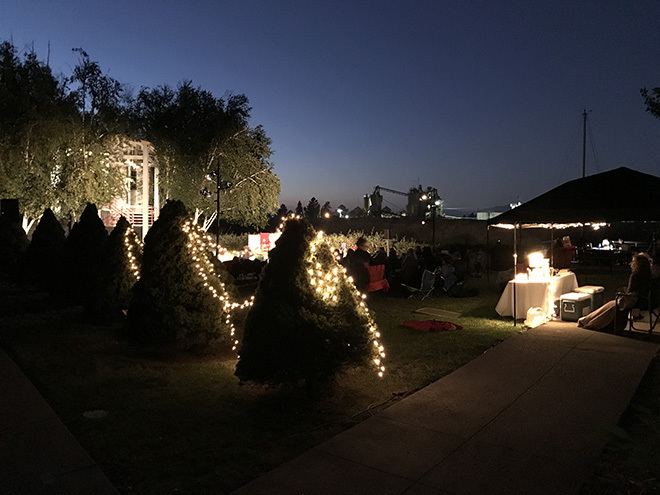 The introduction can be read by someone in your group or given in advance to Petaluma Shakespeare Company and a member will read it aloud. Live music will be interspersed between pieces to help set the mood of your scene. We will be working with the Phoenix and your director will be able to meet with the musicians beforehand to ensure the choice of music sets the tone of your scene. Basic stage lights will be available but no special lighting effects.